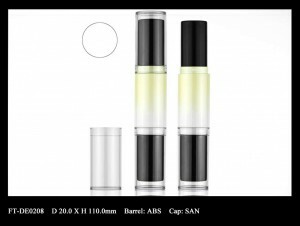 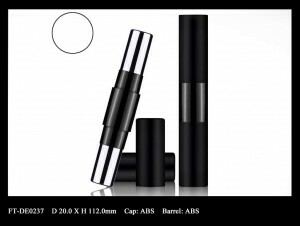 Fancy & Trend adds more double-ended cosmetic packaging selections for face, eyes, and lips – Cosmetics Packaging Supplier | Fancy & Trend Enterprise Co., Ltd.
Double-ended cosmetic packaging indeed is a modern and convenient design for daily usage. 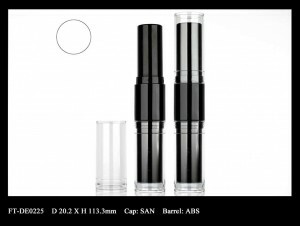 By adding more details to component shape, volume, and material, Fancy & Trend has more options for duo purpose makeup products. 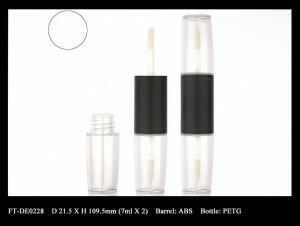 Duo Eyeshadow Makeup Pen features a stick component to hold eyeshadow cream in balm formulation, and a sponge applicator on the other end. 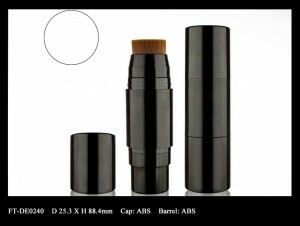 Duo Foundation Stick has more variations in barrel sizes and some of the components are available for brush applicator matching with the product purpose. 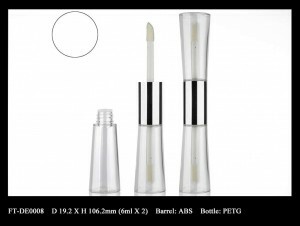 Duo Lip Gloss Packaging is being updated with bigger volume on each component and made in PETG material that enhances product compatibility and quality stability. 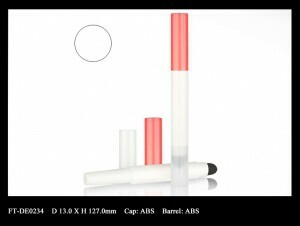 Instead of straight line, the new duo lip gloss has curvy shapes. 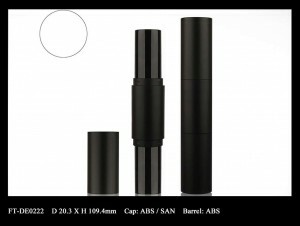 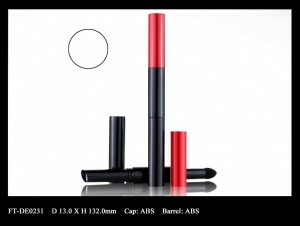 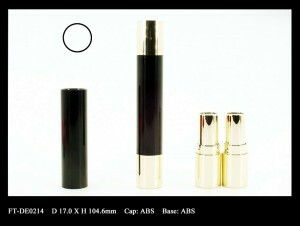 Duo Lipstick features two separated lipstick barrels on either end of a stick packaging component.